We will be doing a 100km (64 miles) walk this August. Starting in the hustle and bustle of London Town and ending up in Cambridge!! I know it will be a difficult challenge, a real test of endurance, but we will support each other all the way. Starting close to the Olympic Park, up the Lea Valley and on to Cambridge 100 km later. A new route with 50km options. Fundraise for over 300 different charities and see if you can go from city to city en foot! Our charity, The Eilidh Brown Memorial Fund, is more than worth the commitment. We will be walking for more than 24 hours!! It would be great to have anyone on board, just think how good you will feel about yourself after. I'm Lisa and I will be Captaining this challenge. 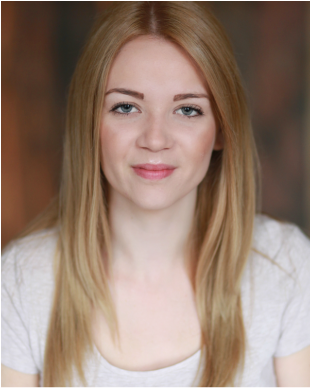 I'm originally from Scotland, where the charity is based, and I now live in London working as an actress/drama teacher. I first got involved with Challenge12 last year as an actress in another Challenge. 'Highland Game' at the Edinburgh Fringe. I loved the idea of Challenge12. I had been trying to think for a while what I could do to raise money for my charity and Challenge12 has given me the perfect support for that. The charity we will be fundraising for is The Eilidh Brown Memorial Fund. This charity is important to me because it was founded by the family of Eilidh Brown who sadly passed away after a 14 month battle with Germ Cell Cancer. Eilidh's Dad was my drama teacher, without whom I wouldn't have got into Drama School, and also became a family friend. I am so looking forward to being able to give something back to this charity as I think the work they have continued to do in Eilidh's name is fantastic. The Eilidh Brown Memorial Fund was set up by her family. Eilidh wanted to help others in her situation. The aim of the fund is to build a respite holiday home in the Stirling area for young people and their families who are in treatment for or recovering from cancer. They want to build a place where families and young people can go to relax and make lovely memories together.